Last week, Dream Cruises christened its new 3,352-berth World Dream at the Kai Tak Cruise Terminal in Hong Kong. Also last week, Celebrity Cruises announced that it would be introducing a newly-built 100-berth cruise ship to the Ecuadorean-flag Galapagos Islands fleet on 2019, and that a sister ship was planned to follow. Meanwhile, Athens-based Celesytal Cruises has confirmed that the Thomson Majestic would be joining the Louis-owned Celestyal Cruises fleet as Celesytal Majestic. 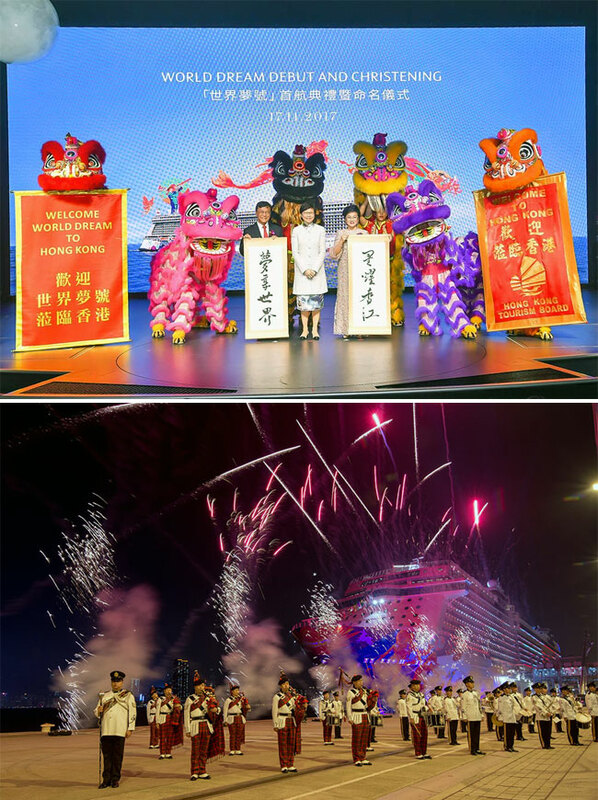 Genting Hong Kong celebrated the arrival of Dream Cruises’ second new ship, World Dream, last Friday at the Kai Tak Cruise Terminal with a special christening ceremony to impart good fortune and luck to the vessel. Puan Sri Cecilia Lim, World Dream’s official Godmother and the wife of Tan Sri Lim Kok Thay, chairman and chief executive officer of Genting Hong Kong, activated the traditional breaking of the champagne on the hull of the new ship in the presence of more than 1,000 guests including government dignitaries, business and trade partners and media. 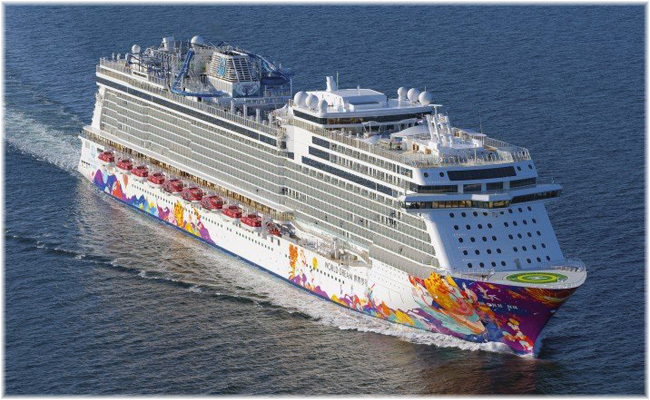 World Dream is the sister ship to Genting Dream which debuted last November and will double the capacity for Dream Cruises, Asia’s luxury cruise line. With World Dream based in Hong Kong, Genting Dream will now cruise from Singapore. Attendees at the debut included guest of honour the chief executive of Hong Kong, the Hon Mrs Carrie Lam Cheng Yuet-ngor and Mr Edward Yau, secretary for commerce and economic development, Ms Cathy Chu, JP, commissioner for tourism and Dr Peter Lam, GBS, chairman of Hong Kong Tourism Board. “We are truly excited to christen World Dream in Hong Kong. As the pioneer of the Asian cruise industry twenty-four years ago, Genting Hong Kong developed the Asian cruise industry with the founding of Star Cruises, with headquarters in Hong Kong,” said Tan Sri Lim Kok Thay, chairman and chief executive officer of Genting Hong Kong. During the event, Tan Sri Lim also expressed the importance of Hong Kong to both Genting Hong Kong and the overall cruise industry in the Asia Pacific and reiterated the company’s commitment to showcase the city and grow the Pearl River Delta region into a world-class, cruise hub. He noted that Hong Kong is strategically located to promote China’s “Greater Bay Area” initiative to link the major cities in the Pearl River Delta into an integrated economic and business centre. In 2019, Celebrity Cruises will debut the Celebrity Flora, the first of two 5,739-ton 100-berth ships planned for year-round expedition cruises in the Galapagos. The new ships will be built by De Hoop yard in the Netherlands, best known for its river cruisers and will have a remakaby high Passenger Space Ratio of 57 gross tons per passenger. The ships will have accommodations that will benefit from many of the developments that will be introduced with the new Celebrity “Edge” class ships, icluding Infinity Verandas. The typical Flora balcony stateroom will measure 330 sq ft. Among the highlights, the aft Marina area will be the primary point of access to the ship and be able to accommodate up to three Zodiacs at once, reducing transport time to and from land and allowing more time for guests to explore the islands. While onboard guests will enjoy the Sunset Lounge, The Vista, an open-air hideaway with 360-degree views, cocoon-style loungers and private cabanas, as well as enjoy the breathtaking surrounds in the floor-to-ceiling glazed Observatory, said Celebrity. Breakfast, lunch and dinner will be served in the Seaside Restaurant. The Ocean Grill will offer casual dining, panoramic views and “Dinner Under the Stars,” or guests can choose an indulgent in-room dining experience. Celebrity Flora will sail from Baltra year-round, making her first sailing on May 26, 2019. 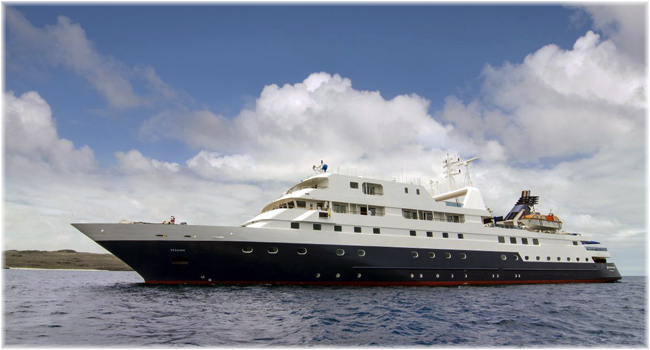 The 2,840-ton 90-berth Celebrity Xpedition will then replace two smaller more recently acquired ships, Celebrity Xperience and Celebrity Xploration in Celebrity’s Galapagos fleet. Celestyal Cruises is extending its 2018 cruise season by two weeks with two more 3-night Aegean cruises, departing November 2 and November 9, and two more 4-night cruises, departing October 29 and November 5. “This itinerary extension is part of our strategy to further develop and expand our activities in Greece beyond the summer season and a response to growing demand for our Aegean cruises,” said Celestyal Cruises ceo Kerry Anastassiadis. Meanwhile the 1,462-berth Thomson Majesty is returning to Celestyal after concluding a long charter to Thomson Cruises, now called Marella Cruises, and will sail about a month of 3- and 4-night Aegean cruises from late March 2018. This ship did not rebrand to Marella as she is about to leave the new Marella fleet. Of the last 558 passengers who rated the Majesty for Cruise Critic UK, 205 (37%) rated her as excellent and another 129 (23%) as Very good, comprising 60% of her most recent customers. 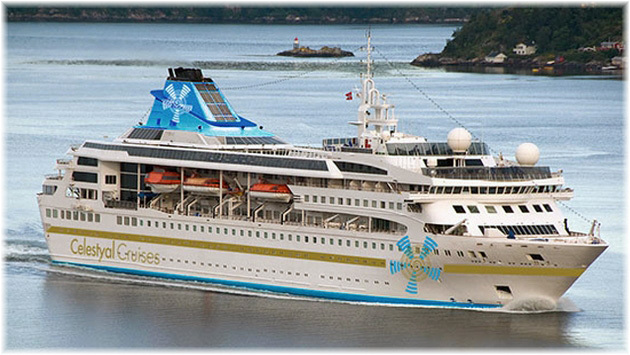 Celestyal have also announced their 2019 Aegean itineraries. Based on the positive response received to the recently-introduced extension of the 2018 Aegean season, Celestyal Cruises will increase the number of calls made in 2019 by 12% over 2018. All cruises will leave from Piraeus. The 3-night cruise calls at Mykonos, Samos or Kusadasi, Patmos, Heraklion (Crete) and Santorini, while the 4-night also calls at Rhodes. Both itineraries include a full evening on Mykonos and a full evening at Santorini, while the 4-day includes an entire day on Rhodes. The 3-day cruises sail on March 15, 2019, with the final cruise of the season on November 15, and the 4-day cruises start on March 18, 2019, with the final cruise of the season on November 11. The 2019 7-night Aegean cruise calls at Mykonos, Milos, Samos or Kusadasi, Heraklion and Santorini. For those who want to experience the nightlife of Mykonos and Santorini, this cruise includes an overnight at each of these two iconic islands. This itinerary also includes an entire afternoon on Milos, a geological marvel famed for its culture and history and its amazing beaches. 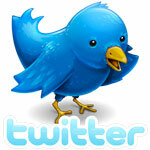 They also spend an entire day at Heraklion, the capital of Crete. The first 7-day Idyllic Aegean Cruise of 2019 departs on April 15, 2019, and the last on October 28, 2019. 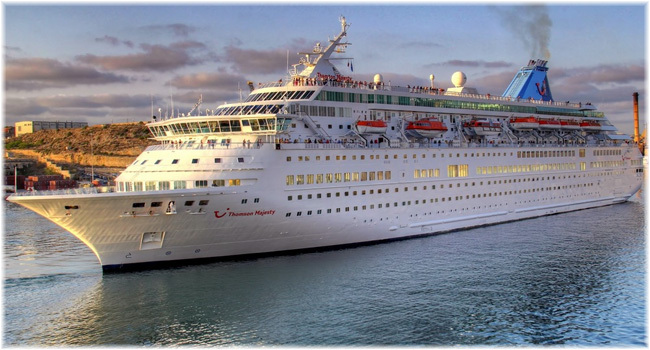 As the Celestyal Majesty joins the fleet the 1,074-berth Celestyal Nefeli will be returned to her owners at the end of her present charter, which began in 2016. 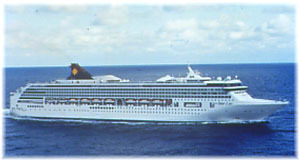 The Majesty will then join the 966-berth Celestyal Crystal and 1,450-berth Celestyal Olympia in the Celestyal fleet.